In a move that no-one saw coming, Gearbox have pulled back the (transparent) curtain and officially unveiled Borderlands 3! 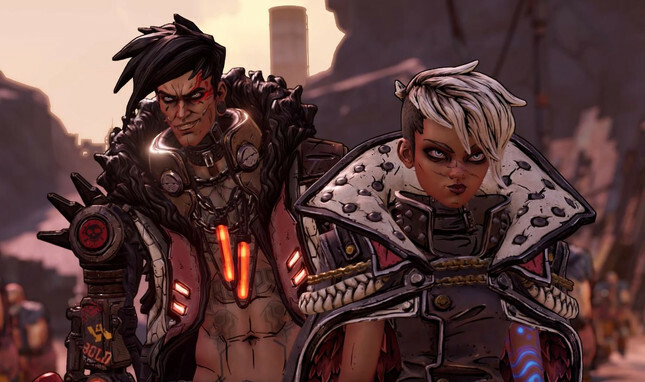 Gearbox announced the highly-rumoured and hinted at sequel in the massively popular series, along with several other projects in what the developers are dubbing 'The Year of Borderlands'. The developers showed off the upcoming sequel during its Pax East panel, with a suitably insane trailer showcasing its unhinged characters, both new and returning. In true Dr Evil style Gearbox is also promising "over one billion guns", which, let's be honest is precisely what we fans want. We see that Pandora is still as crazy as ever, but it looks like we'll also be travelling off world with our awesome looking group of new playable characters, as several shots of different biomes and neon-lit cityscapes make an appearance during the trailer. Check out the insane Borderlands 3 reveal trailer below! Not content with simply providing fans with a sequel, Gearbox also announced Borderlands: Game of the Year Edition (trailer below), which launches April 3, 2019 on PlayStation 4, Xbox One, and PC. The GOTY edition of the game that started it all for the OG loot shooter will include "brand new weapons, substantial visual upgrades, quality of life improvements, all four add-on packs, and more." An Ultra HD Texture Pack is also dropping on April 3 for the rest of the Borderlands titles in a free, optional download that will improve the visuals of Borderlands: The Handsome Collection and its DLC on consoles. The HD update also provides a graphical boost for Borderlands 2, Borderlands: The Pre-Sequel, and their respective DLC on PC. Take a look at the improvements below. Last but not least, the developer announced that all of the DLC for Borderlands 2 will be added to Borderlands 2 VR on PlayStation VR in a free update later in 2019. As a huge fan, I'm having a hard time processing all of this great news, and will definitely be making my way through the upcoming updates and the Borderlands: Game of the Year Edition while eagerly awaiting Borderlands 3. Gearbox is promising more information on April 3, so here's hoping we get a release date soon!